Our ‘Expert roundup’s section provides expert opinion and tips on all business issues. 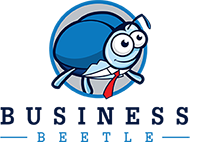 From sales, marketing, legal, technology and HR matters, Business Beetle can provide insight and analysis from experts around the world. We source the top business influencers to help save your business time, energy and expense! Marketing a small business has with many challenges. Here at Business Beetle, we’ve outreached to local and national experts to get their insight into how best to market your small business.